Windham has built a reputation helping people face and conquer challenges. 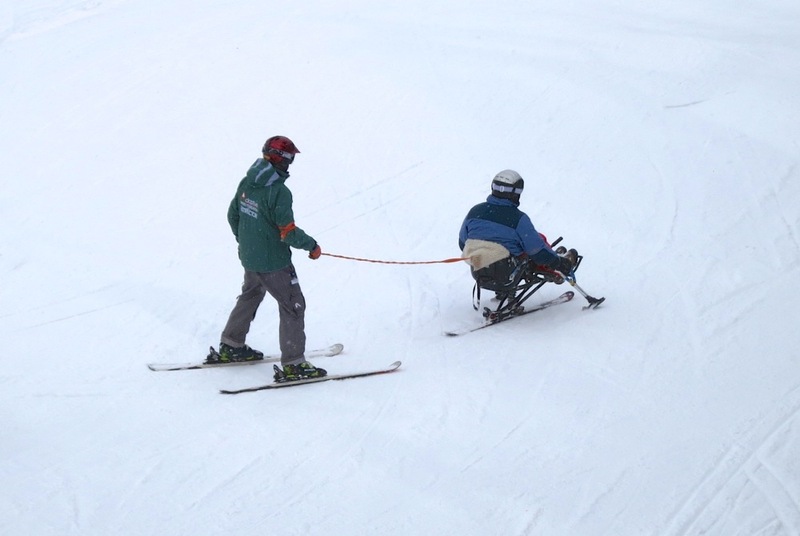 This weekend, while not officially enrolled in the mountains acclaimed adaptive program, we made some strides too. 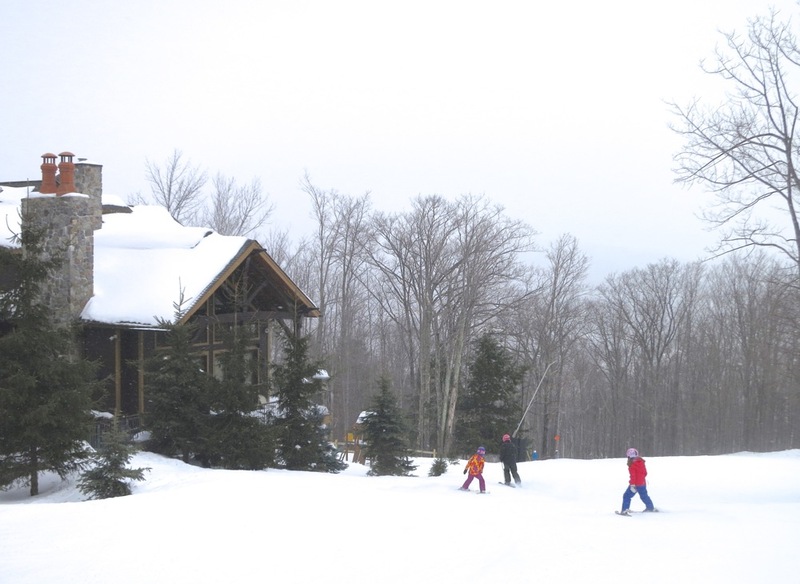 My daughter has been after me to arrange a playdate in the Catskills all winter. With an open day on Sunday for both Neve and Lana, the time was right. Lana, the daughter of one of my best ski buddies, was excited too. The two girls are the same age, ski at the same level, and even though they haven’t seen each other for almost two years, it took less than a minute for them to reconnect and start laughing. This was my first daytrip to the Catskills with my daughter. When I’m solo, I set the alarm for 4:30am. With kids in tow, that seemed a little unrealistic, so we left the house at 7am. It’s quite an unusual experience for me to arrive at a mountain at the same time as normal humans. 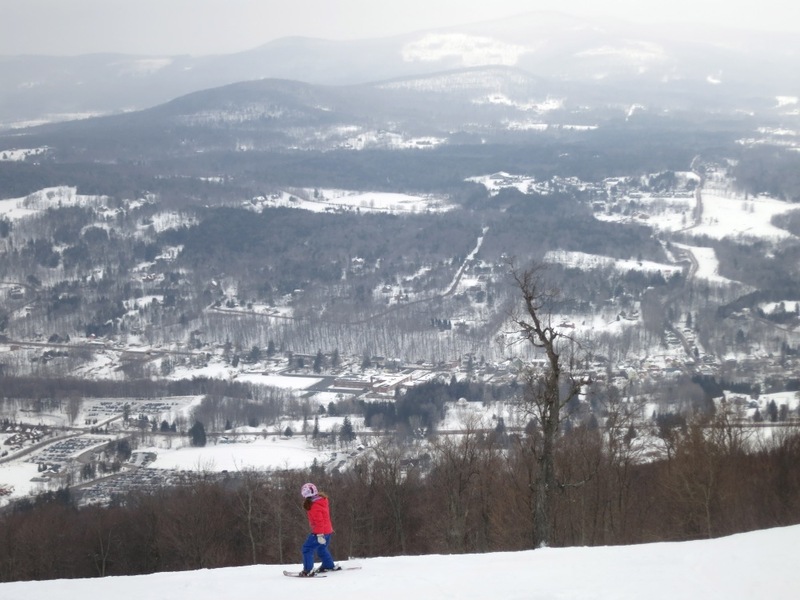 In a typical season, interest in skiing generally starts to wane after President’s Day. But with great conditions and temperatures that finally moderated, there was a good and excited crowd. After a lap on World Cup, we spent the morning on the blue terrain off the high-speed quad, Whirlwind Express. Before lunch, we headed over to the Wheelchair Double to check out Windfall. We came to a marked glade called Whataride. Lana has skied Stratton a few times and kept talking about the tree skiing there. 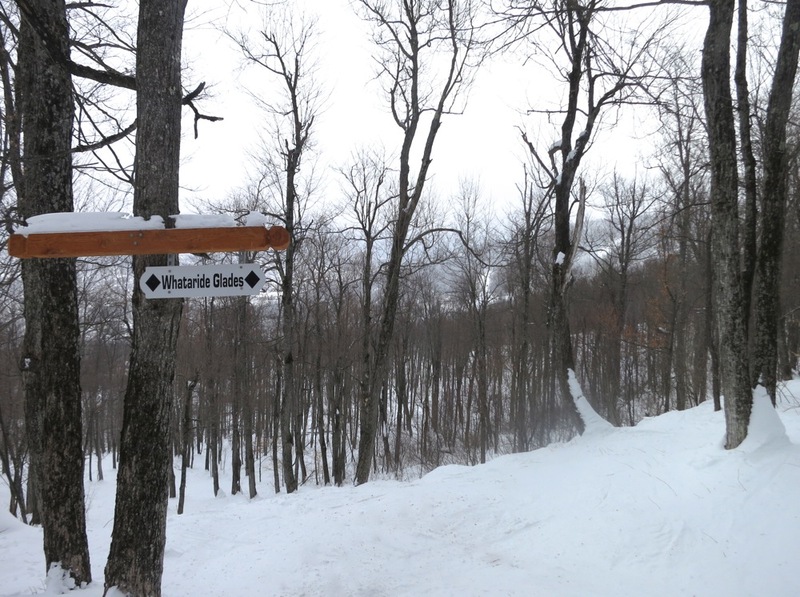 Stratton has some mellow tree shots that are a great way for kids to get into that side of skiing. Three seasons ago, we learned that Neve is affected by a condition called PANDAS. While considered rare, we believe it’s widely undiagnosed. It’s an immune system disorder that’s triggered by strep. It most often impacts preteens, primarily in winter, and often resolves itself as children mature (our fingers are crossed). PANDAS can cause irrational fears. 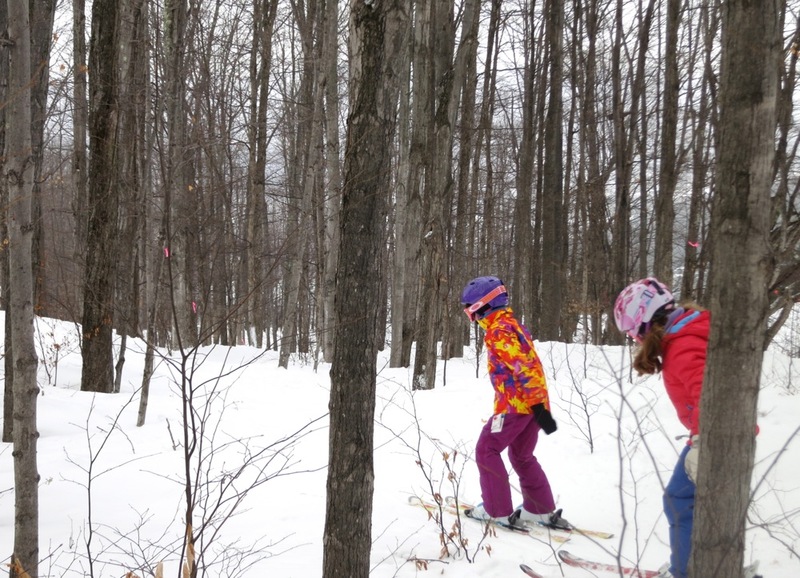 While it’s not unusual for an eight-year-old to fear expert terrain, we’ve noticed a dramatic difference in Neve. She was skiing mellow blacks at age five, but since the onset three years ago hasn’t gone beyond the blues. We haven’t pushed it. Skiing is all about fun and Neve has a blast on terrain where she is comfortable. But this day was different. After lunch, it was Lana who was nudging Neve to ski something steeper. “Neve, you ski as good as me, I KNOW you can do it!” Clearly Neve was conflicted, afraid and drawn all at once. I was conflicted too. I wanted her to conquer this hurdle, but knew that our best chance was to sit back and let Lana do the work. “Why Not” was the perfect choice. It’s a series of progressively steeper blue “steps” and the final pitch is true black. Over each drop, Neve’s confidence grew and on the final challenge she stem-pizza’d her way down without falling or stopping. At the bottom, we regrouped and shared high fives. Neve’s only comment: “Let’s do it again!” Big smiles ruled the rest of the day and continued on the long drive home. It was exciting to write our own chapter in the book of triumph at Windham. Sounds like a great day. Sorry to have missed you. Why Not – a family favorite. 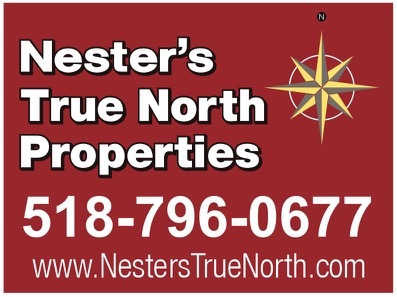 Way to go Neve! (and Harv also). Skiing with your kids and watching them grow as skiers is the best. Every challenge conquered is a true joy. Living in central NJ, Windham is my go-to mountain. Decent elevation, legit trails, good snow making, fun crowds. Glad you had a good time.